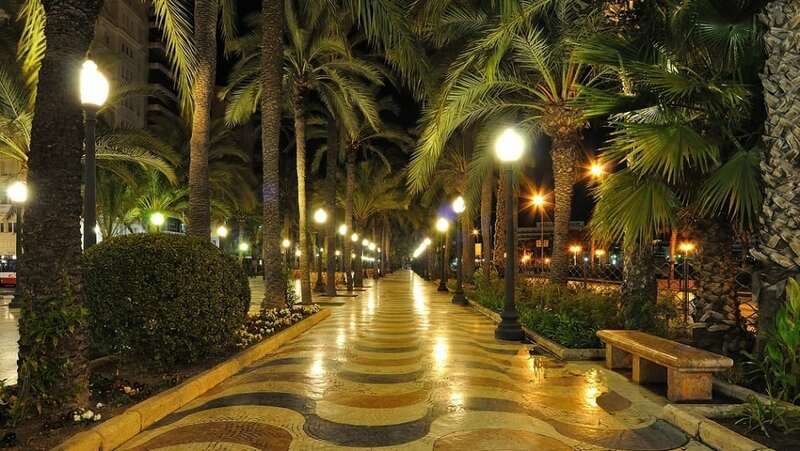 At the heart of Alicante is the magnificent La Explanada de España. Winding around the marina, this stunning boulevard with its red, black and cream tiles, all 6.6 million of them, are a sight to behold after dark. During the day, the four rows of palm trees offer much needed shade while the marble tiles resemble Mediterranean waves.